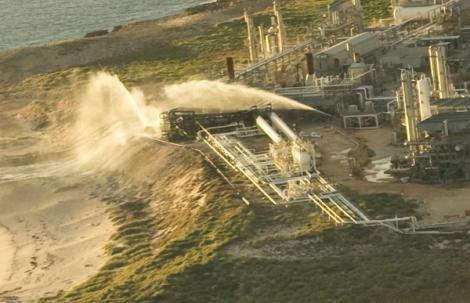 An explosion at Apache's Varanus Island gas plant in Western Australia on June 3 cut off 30 per cent of the state's domestic gas supply. Supplies to mines and industry in the Pilbara region (the heartland of Australian iron ore mining) fell by 45 per cent. The supply disruption was exacerbated by an inability to start alternative forms of power generation - the coal fired Collie power station, for example, had damaged turbine blades and could not immediately return to service. This has had a large impact on the local economy (the WA Chamber of Commerce and Industry estimates the crisis will have cost the state $6.7 billion, assuming energy supplies are fully restored by December) and makes an interesting case study of the effects of a sudden reduction in energy supplies. The cause of the explosion is rumoured to be a corroded pipe that ruptured, though Apache is remaining coy about responding to this theory for the time being. The National Offshore Petroleum Safety Authority, which is investigating the incident, said it would be "inappropriate to pre-empt the findings by releasing any investigation material beforehand". 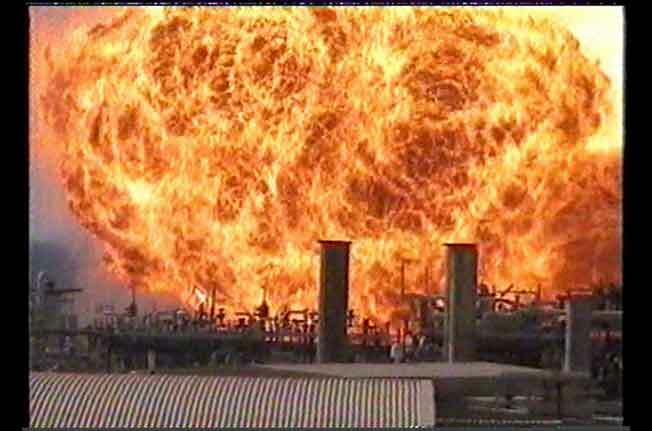 The WA opposition is calling for a Royal Commission to investigate the incident, similar to the one that examined the 1998 Longford plant explosion and fire, which cut household gas supplies in Victoria for two weeks. The situation has been exacerbated by the lack of any contingency plans for a disaster, in spite of police warnings that these were needed and highlighting potential weaknesses at the facility. The company reportedly responded to one of the issues raised - the need to have spare parts available - by asking "How can we justify having a $8 million component sitting on the shelf ?". A few years ago there was a minor bout of hysteria about the hospital in the nearby (by WA standards) town of Port Hedland serving halal meals to patients, so I've been (pleasantly) surprised that no one has tried to gain any political mileage by trying to wield the "power of nightmares" and invoke the terrorism bogeyman as a possible cause. 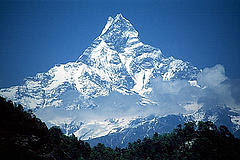 This might be because the whole issue has disappeared from the Australian political scene since the unceremonious departure of unloved ex-Prime Minister John Howard, but it could also be because there has been a long standing military operation protecting vital infrastructure in the area, thus making the possibility remote. WA holds the majority of Australia's natural gas reserves and is a fairly large producer of gas by global standards (much of the gas produced being exported to North Asia in the form of LNG from the North West Shelf gas project on the Burrup peninsula). WA is much more reliant on gas for its energy needs than other states - the most recent figures from the Australian Bureau of Agriculture and Resource Economics (ABARE) show WA uses 385,000 terajoules of natural gas a year, compared to Victoria's 258,000 terajoules and NSW's 140,000 terajoules. The gas is mostly used to generate electricity - 60% of WA's power supply comes from gas. Varanus Island produces 380 terajoules of gas, sourced from the Harriet and John Brookes joint ventures, with most of it distributed to the south west of the state via the 1600 km Dampier to Bunbury pipeline. Up to 60 terajoules of gas is transported to the Kalgoorlie region via the Goldfields gas pipeline, which services big mining customers. Gas supplies to mines and industry in the Pilbara region have fallen 45 per cent, those to the Goldfields have fallen by 20 per cent and the state's southwest, where most of the population lives, has seen a 20 per cent reduction for large industries and commerce, and a further 25 per cent drop for mid-sized businesses. As a large swathe of business has been affected, almost every industry sector has been vocally complaining about how much suffering it is enduring and how much special assistance or priority access to energy supplies it needs. * The WA Food Industry Association has called for government support, claiming it will "lose market share" and businesses may have to stop production. * The mining industry has decreased production. Examples of companies flagging decreased output include nickel producer Minara Resources, goldminer Newcrest Mining and mineral sands miner Iluka Resources. * Alcoa (Australia) notified customers it was declaring force majeure on its supply contracts for alumina. * BHP Billiton brought forward a four-month shutdown of its Kalgoorlie nickel smelter, freeing up gas supplies for its Worsley aluminium refinery (which caused a rise in global nickel prices due to the tight supply situation). * Fertiliser manufacturer Burrup Holdings delayed its float on the stockmarket, after its gas suppliers issued it with a "force majeure" notice. * Wesfarmers has also reported disruption to its fertiliser and LPG businesses. * Midland Brick, the world's largest brickworks, has had to shut down its kilns on a number of occasions. * Laundry services have shut down, with the hotel industry struggling to find supplies of clean linen. The Varanus Island incident has rekindled the security of energy supply debate first sparked by the January shutdown of the North-West Shelf project, which put two-thirds of the state's gas supply offline for a shorter period of time. At one point WA premier Alan Carpenter was warning he might he might need to invoke emergency powers to seize control over all gas and electricity supplies in the state, though he seems to have calmed down since then - although he has announced that energy security will be a key issue in future. The major supply side response for many larger gas customers has been to switch to diesel generation instead. This comes at a fairly large price, as diesel costs around 10 times as much as gas, according to the WA Office of Energy. The cost of switching from gas to diesel to gas had meant that some large gas-fired power generation units with secure gas supply contracts with the (still online) north west shelf project have remained on gas instead of switching to diesel where possible, causing some controversy. The other major supply response has been to restart 2 mothballed coal fired power stations - the 110 megawatt Kwinana Unit One (which Premier Carpenter says should free up about five terajoules of gas a day) and the 340 megawatt Muja AB power station at Collie (prompting some protests about reopening the dirtiest generation facility in the state). The state government has also asked local utility Verve Energy to consider building a new coal fired generator in Collie. While the WA state government was happy to revive the local coal industry, it has remained firmly opposed to nuclear power, with Carpenter stating “There will be no nuclear power, no nuclear waste and uranium mining in WA while I am the Premier”. Carpenter has also announced a (tiny) investment of $6 million into low carbon emissions technology, with the money being used for the construction of a 2 MW solar power station in Kalgoorlie and the development of an oil mallee harvesting machine. More usefully, he has also announced an expanded public transport network, including a link from the Perth city centre to the airport, light rail and tram routes, and the extension of existing railway lines. Robert Amin, Curtin University's chair of Petroleum Engineering, criticised the state government's lack of contingency plans, recommending WA should have at least a month's worth of gas stored in underground reservoirs for use in such situations, noting that depleted gas reservoirs in Dongara were ideal. Some of these seem a bit random, given that duplicating the pipeline, for example, would have made no difference at all to the current situation. A gas interconnection to the east coast would be an interesting (albeit expensive) project - it would have the benefit of increasing supply options for the east (mitigating the depletion of Cooper Basin and Bass Strait fields), but would also likely rapidly increase east coast gas prices to be in line with those of the international LNG market. Overall, the reaction to the incident has been less than inspiring, with the response largely being to switch back to the dirty and depleting alternatives of coal and diesel. No real thought seems to have been given to ways of making the state's energy supplies more resilient in future, or to the fact that diesel is getting increasingly expensive and will likely to be much harder to obtain in future years. A better response would have been to instead begin planning to embed more distributed generation, along with smarter demand management, into the grid from a variety of sources. Given that WA has high quality solar resources, particularly in the north west where they are world class, and a vast amount of space for wind and wave power generation, I would hope that efforts are undertaken to start substituting (or at least supplementing) both coal and gas fired generators with alternatives that don't depend on the continued extraction of finite resources. 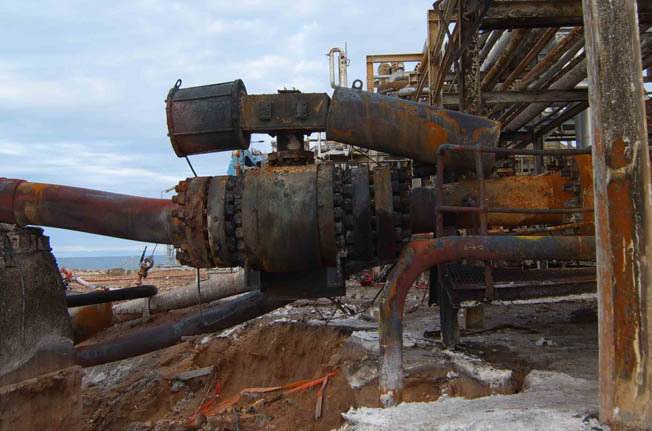 The most useful action taking during the crisis I've seen so far was Alcoa (the largest single user of gas) deciding to push ahead with WA's first "tight gas" development - the Warro gas field in the state's mid-west. Managing Director Alan Cransberg said that if it proves to be commercially viable it could supply up to 10 per cent of domestic gas demand - but denied the Varanus Island prompted the decision, instead pointing to the tight gas supply situation that already existed beforehand.